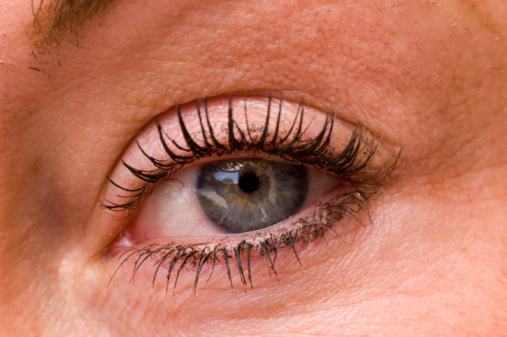 Why Your Eyes Might Be Red And Itch? It’s said that your eyes are the window to your soul, but what about when you have a case of red eye? No one wants to feel embarrassed or deal with the hassle of red eyes. People may avoid you, thinking it’s something contagious when it could be something as simple as the dust in your office. Here’s a closer look at some reasons your eyes might be red. Infection, typically a virus or bacteria. Environment, typically allergies, lack of sleep, or exposure to irritants. Systemic, typically decreased tear production due to aging or systemic inflammation such as lupus or rheumatoid arthritis (both can cause chronic dryness and inflammation). “The red appearance is caused by enlargement, or dilation, of the blood vessels, typically in a tissue called the conjunctiva,” says Dr. White. “Occasionally, a blood vessel will break and can cause pooling of the blood between the layers. Thankfully, this is not usually a problem and just takes a week or two to slowly clear and no treatment is needed.” Most red eye problems can be identified and treated without any serious complications. What Other Problems Do Itchy Eyes Cause? Why Are My Eyes Itchy? Allergic reactions occur when the surface of your eye is exposed to allergens. The reaction triggers the release of histamines, causing itchy, red, watery eyes. Rubbing your itchy eyes is highly discouraged. As you rub your eyes, you release more and more histamines, which results in worse symptoms. You can also scratch or cause other trauma to the surface of your eye by rubbing the itch. Itchy eyes can be caused by various eye conditions too. Dry eyes are known to cause discomfort and irritation. Blepharitis, a non-contagious eye disorder caused by bacterial or skin conditions, also causes itchy eyes. With blepharitis, the eyelids become dry, scaly, and itchy. Typically the eyelashes fall out. Sometimes eyelashes grow back abnormally a condition known as trichiasis, which may lead to irritation of the eyeball. Some people may be allergic to their contact lens solutions, which can cause redness, discomfort, itching, and inflammation. Thimerosal, a preservative used in ophthalmic products and found in many contact lens solutions, is one of the main culprits in allergic reactions to contact lens solutions. In order to understand red eye, your optometrist will try to identify the cause of redness, which involves a very good history. Be sure to tell him or her about your medications and environment. For example, a farmer who is constantly exposed to wind and dust will likely have a different cause for their redness than a person who works in an office. How often are your eyes becoming red? Is it one or both eyes? Is there any pain or itching with the redness? Does anything seem to make it worse or better? After you answer these questions, your provider may take a look in your eyes and surrounding tissue. During this thorough examination, he may see explanations of what is causing the red eye. You can either buy over-the-counter oral antihistamines such as Claritin or eye drops with antihistamines in them. Or you can go see your doctor and have similar medications prescribed. Antihistamines block the release of the histamines that cause itchy eyes. Some oral antihistamines can cause drowsiness, irritability, and dryness, and take up to an hour to begin working. It is recommended that you take precautions—i.e., avoid driving or operating machinery if oral antihistamines make you drowsy. Most over-the-counter eye drops are good for four to six hours and relieve itching almost immediately, without any side effects. One OTC eye drop, Zaditor, relieves symptoms for up to twelve hours with only one dose. In severe cases, you can talk to your doctor about using steroid eye drops to relieve the pain. If you see your doctor for relief of itchy eyes, talk to him or her about using Allegra or Zyrtec. Not only do they relieve the itching, they also relieve the puffiness, irritation, redness, and dryness of allergy eyes. Plus, they begin working within fifteen to thirty minutes and rarely cause side effects such as drowsiness. Prescribed oral antihistamines can be a lifesaver, especially if you suffer from seasonal allergic conjunctivitis. Taken ahead of time, they can last twelve to twenty-four hours. If your itchy eyes persist, you can also ask your doctor to prescribe eye drops. Red Eye or Pink Eye? Dr. White explains that just because the eye is red does not mean the person has “pink eye.” Viral conjunctivitis (“pink eye”) is very contagious and should be treated by your doctor. But before you avoid your friend or coworker with red eyes, remember that there are other causes of redness.“Most redness is going to be caused by allergies or dryness and is not spread from person to person,” says Dr. White. Most of the time, itchy eyes are caused by some type of allergy. An irritating substance (called an allergen) such as pollen, dust and animal dander causes the release of compounds called histamines in the tissues around the eyes, which results in itching, redness and swelling. Rubbing won’t help your itchy eyes. In fact, it can make things worse. Eye allergies come in lots of shapes and sizes and can be seasonal or perennial. Seasonal allergies cause what’s known as allergic conjunctivitis. It’s most common in the spring and fall and is caused by high pollen counts and exposure to outdoor allergens like grass and weeds. Perennial allergies, on the other hand, are present all year long and are caused by things like mold and dust. In some cases, a product you’re using can cause allergy-related itchy eyes. For example, some people develop allergies to their contact lens solutions. Other products with ingredients that may cause your eyes to itch include: artificial tears used to treat dry eyes; makeup; and lotions, creams and soaps. But allergies aren’t the only cause of itchy eyes. If (in addition to itching) your eyes are burning, the cause may be dry eye syndrome or meibomian gland dysfunction, not allergies. Similarly, if your eyelids are red and inflamed, you may have a condition called blepharitis, which is caused by bacteria and in some cases by microscopic mites that live on the eyelids. If you wear contact lenses, itchy eyes can make lens wear very uncomfortable. Sometimes, if you are wearing your contacts too long or don’t replace them frequently enough, this too can cause itchy eyes. Because the causes for itchy eyes are so varied, if your symptoms are lasting, getting worse, or don’t subside when allergy season winds down, make an appointment with your eye doctor. In some cases, a product you’re using can cause allergy-related itchy eyes. For example, some people develop allergies to their contact lens solutions. Other products with ingredients that may cause your eyes to itch include: artificial tears used to treat dry eyes; makeup; and lotions, creams and soaps. But allergies aren’t the only cause of itchy eyes. If (in addition to itching) your eyes are burning, the cause may be dry eye syndrome or meibomian gland dysfunction, not allergies. Similarly, if your eyelids are red and inflamed, you may have a condition called blepharitis, which is caused by bacteria and in some cases by microscopic mites that live on the eyelids. For red itchy eyes caused by allergies, Dr. White advises over-the-counter medicines like Alaway or Zaditor, used in the morning and at night. These drops work best if they are started about a week before allergy season and continued each day until the allergen is not longer active. Artificial tears work well if the cause is dryness or exposure something such as wind or dust. Dr. White typically advises using a drop such as Refresh Optive, Blink, or Systane Ultra a few times a day. Putting the drop in the refrigerator can also provide extra relief, but is not always necessary. Cold compresses can be very helpful for red, swollen eyes. Dr. White typically advises a cold washcloth or ice pack to be used as needed but for no longer than 10 minutes at a time. What About Red Eye Drops? “Red eye” drops, such as Visine and Clear Eyes, can be helpful, but should only be used for a short time. “Using a drop such as Visine or Clear Eyes does not treat the problem,” says Dr. White. “These drops constrict the blood vessels and make the eye less red, but it does not address the reason for the redness.” In fact, as you keep using these drops, it can actually cause the eye to become redder because your blood vessels will become accustomed to the drug causing them to constrict. “Once the drug wears off the vessels will rebound and become enlarged or dilated,” says Dr. White. “This makes the eye red again and many people will begin to use the drop more frequently to help combat the redness that is being caused by the drop itself.” So before you get stuck in this eye-drop cycle, try not to use the drops more than three to four times a day, and only for a couple days. “Again, these drops just cover up the redness, so if a patients eyes are still red after a day or two of use, then there is likely a constant problem that needs to be addressed,” says Dr. White. If you’ve been using these “red eye” drops for some time, try switching to a different drop to stop the cycle. As a substitute, use drops that say eye lubrication or tear replacement. These are gentle and will not cause your eyes to get even worse over time. Best of all, you’re better off figuring out the underlying cause of the redness and treating the cause instead.